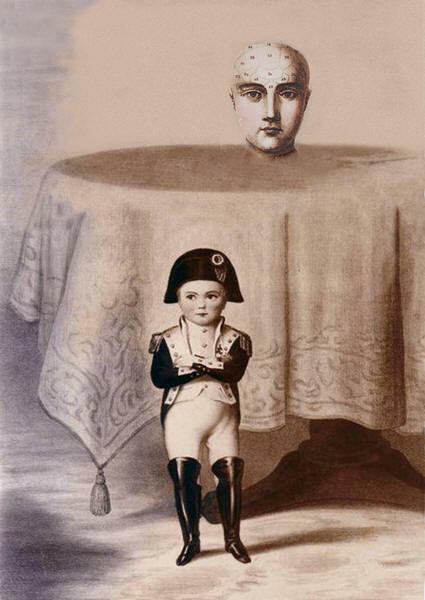 The head of General Tom Thumb has been examined by Mr. Stratton, who reports of it that the size of the brain is the smallest recorded of one capable of sane and somewhat vigorous mental manifestation. remarkable, apart from his diminutive size and fine proportions, it is his control over muscular action. In his representations of the Grecian statues, Napoleon, Frederick the Great, the English gentleman, the Highland chieftain, &c., the rapidity with which he can change his posture, and the accuracy with which he can imitate the actions and attitudes -- so far as mere muscular action is concerned -- of the objects represented, are regarded as very remarkable. His intellectual acquirements are said to be very limited as yet. It will be ex­tremely important to note his progress in this particular. It is to be hoped that phrenologists who happen to meet with the 'general' will endeavor to inform themselves as accurately as possible regard­ing his progress and proficiency in intellectual pursuits, and report from time to time. His muscular system has attained a degree of firmness, strength, and maturity, quite equal to, or rather beyond, the average of his age. It is legitimate to presume that the brain is matured in a corresponding de­gree. His health is said to be excellent. 'General Tom Thumb' is, then, I repeat, a case of un­usual interest to the phrenological world. is strictly prohibited. For more information please contact us here.